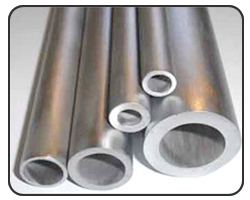 Suraj Steelmet is rising as a glorified Stainless Steel Pipes & Tubes Exporter in India. The various finishes and grades offered has secured us a respectable position as a quality pipe and tubes exporter. Our exporting range is known for its sturdiness, durability and credibility. The relentless efforts to give best from rest can be seen through our premium quality wide spectrum. We have been dwelling into steel market since more than 25+ years, this has given us an upper hand over others. 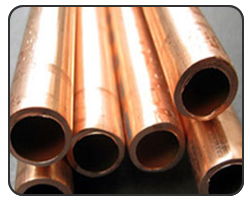 We understand which material will best suit your requirements, thus, giving high grade quality pipes and tubes. 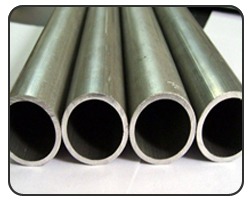 We have reached international market as skilled Stainless Steel Pipes & Tubes Supplier. We possess all the technical knowledge, talented employees, modern technology and resources for on-time delivery of consignments. We thrive to learn and explore more so that we can add more to our offerings segment. Our comprehensive range of pipes and tubes is applauded by our customers that’s why they turn to you everytime. Some of the elements from our service bucket are finest quality, scheduled delivery and work transparency. Round, Square, Rectangle, Hydraulic, etc. SCH 5S, 10S,10, 20, 40S, 40, STD, 60, 80S, 80, XS, 100, 120, 140, 160 & XXS. The pipes and tubes made up of stainless and duplex steel have high market demand because of their extraordinary properties. Our products are affordable and Duplex steel further reduces the charges. Nickel is expensive, thus, replaced by nitrogen which additionally enhances its tensile properties. They result into lighter yet stronger pipes and tubes. ASTM / ASME SA 312 GR. TP 304, 304L , 304H, 309S, 309H, 310S, 310H, 316,316L, 316TI, 316H, 316 LN, 317, 317L, 321, 321H, 347, 347 H, 904L. ASTM / ASME SA 358 CL 1 & CL 3 GR . 304, 304L, 304H, 309S, 309H, 310S, 310H, 316, 316H, 321, 321H, 347. 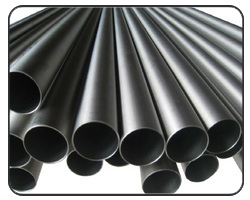 Carbon & alloy steel pipes and tubes provide a broad space for the industry development. These pipes are mainly used for high temperature systems where heat and pressure resistance plays a vital role. These pipes and tubes can be recycled and reused, hence saving environment. With the rising demands we keep our inventory updated so that you do not have to wait for the supply. ASTM / ASME 106 GR. A, B, C.
API 5L GR. B , API 5L X 42, X 46, X 52, X 60, X 70. ASTM / ASME A 691 GRP1 CR, 1 1/4 CR, 2 1/4 CR, 5 CR, 9CR, 91. 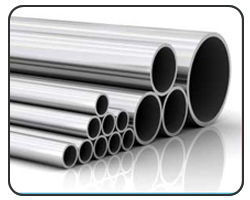 Suraj Steelmet is the proud exporter of hastelloy pipes and tubes. These components are widely used by the chemical processing industries because of its outstanding industrial performance. The add-on benefit of using hastelloy made equipment is its resistance to uniform attack and cracking. With time hastelloy is evolving as a very strong alloy for various industrial uses. Inconel prepared pipes and tubes have upper hand than other steel or alloy made products because of its oxidation and corrosion resistance. Although other alloys made components too hold oxidation and corrosion resistance but inconel works wonder in extreme pressure and heat environment. 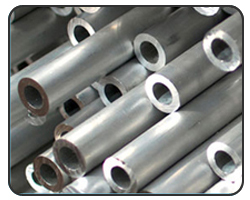 We are the known supplier of affordable, seamless inconel pipes and tubes that can withstand pressure effortlessly. Incoloy is again an alloy with exceptional resistance to many aggressive corrosion environments. This alloy made pipes and tubes are easy to fabricate but hard to break. As chemical industries have harsh working environment, alloys like incoloy are used to handle this pressure. We use best quality incoloy to complete assignments undertaken. We value your spendings, thus, always try to give more than we can. 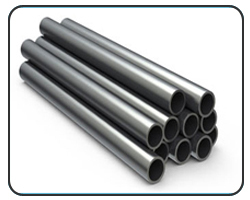 Suraj Steelmet deals in a variety of pipes and tubes exporting and one of them is monel pipes & tubes. This is a high performance alloy that is stronger than steel. If you are looking for components that are strong as well as acid resistant then our exported monel pipes & tubes can be the end of your search. There are different commercial types of monel alloy but we incorporate only the best of them leading to best quality exporting. 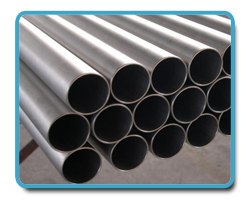 Titanium pipes & tubes have lower density compared to other materials. Even after so, they are strong and rigid than other alloy components. The biggest advantage of employing titanium components is their heat transfer property. There are industrial thermal conductivity requirements where using titanium made pipes & tubes give extra benefits. We use high-class raw materials to ensure good quality products. Along with the quality we also offer best competitive rates to our customers.